Home » Designtitle_li=Newstitle_li=Projects » Designs for Living, turning display villages into homes. 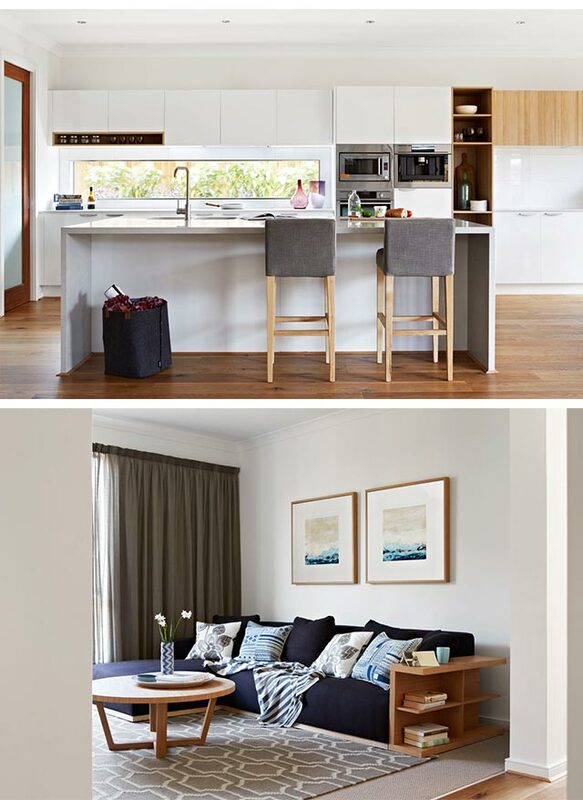 Arkee Creative and Designs for Living Furniture have produced for Orbit Homes, exciting new homes at both Point Cook and Craigieburn display villages. Orbit Homes, one of Australias most successful new home builders were looking to capture a wider demographic for new home purchasers. Arkee approached the brief to create a real point of difference by revitalising the display product detail and working with Designs for Living Furniture, a sister company to deliver the broader vision of a new direction in furnishing and styling. By focusing on an editorial style and moving away from the staged, formal and repetitive interiors being offered in other housing product in the display villages, Arkee and Designs for Living have delivered the point of difference for Orbit Homes. 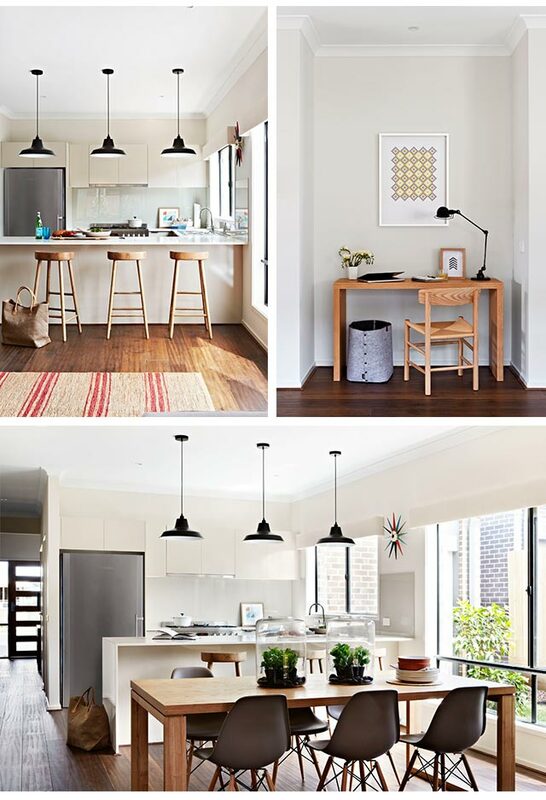 Above, Balwyn: The home for a young family, playful, full of life, light and space. Arkee were engaged to revitalize the homes, refine the facades, layouts, detailing of joinery and colour schemes. By utilizing the new designs and working with Designs for Living, who provided the lease furniture and styling they have created a liveable, contemporary and fresh feel to the homes that stands out from the rest of the display villages. Above, Balwyn: Kitchen with breakfast bar and dining space, oversees the study nook perfect for after school homework supervision part of Orbit Homes Abode Range. Principal Interior designer and CEO, Paula Bowen says “Purchases are increasingly more aware of how they want their homes to look and feel and we wanted to offer a sophisticated and designed home that reflects those aspirations”. The designs of the homes focus on offering additional storage, maximising the space internally and showcase Arkees detailing and Orbit homes quality construction. 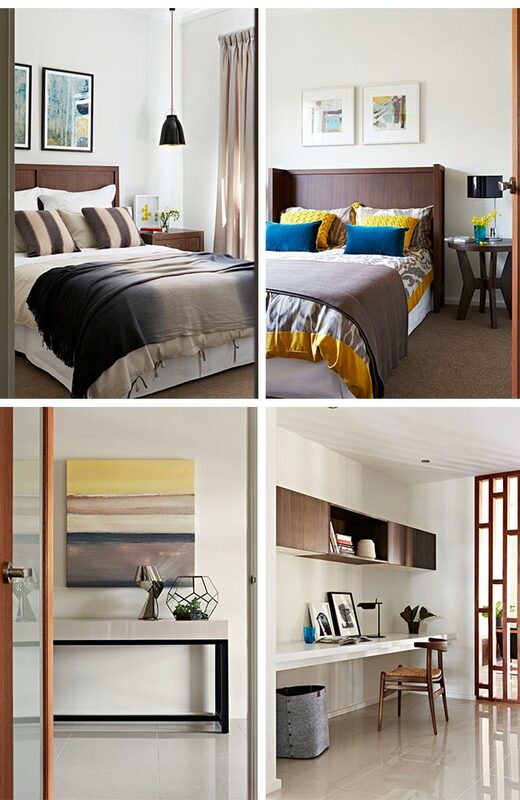 Above, Jasper: Colour in the bedrooms is a welcome point of difference. The timber screen dividing the living and study nook is a beautiful feature. Walking around these homes you get the sense that a real attention to detail has been considered. The living spaces are inviting and make you want to pick up on the magazines on the coffee table and make yourself a cup of tea. 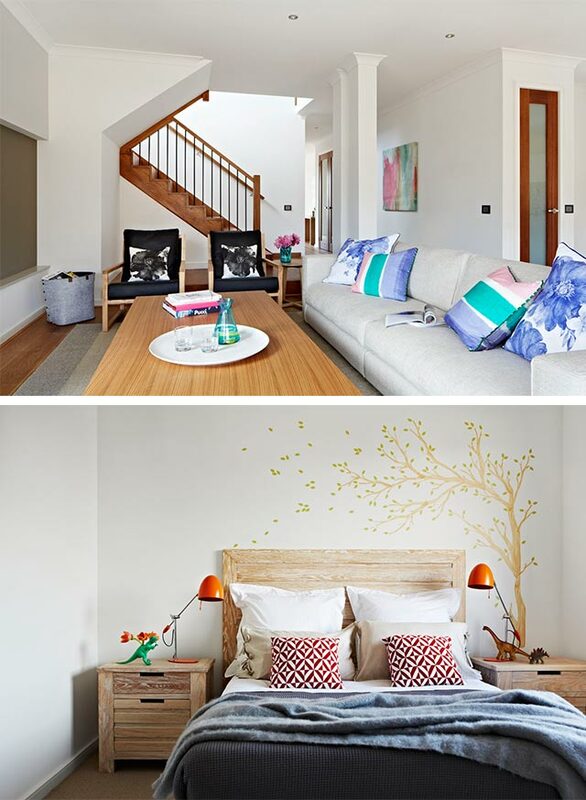 The interior colour schemes are light and modern and provide the perfect setting for the furnishings. Designs for Living and Arkee have worked with Orbit Homes to produce 3 distinct residences, each with a design outcome that makes you want to stay in the space to relax and contemplate what life could be like. Above, Aspire: The double story family home, with plenty of space for a mature family to interact, have privacy and relax with family and friends. The design solution appears natural, showcasing the careful consideration behind each design decision. The ability to create an edited display where the homebuyer can visualise themselves inhabiting is a skill that is accrued with years of experience. Arkee and Designs for Living maintain a fresh vibrancy in the homes and tap into the markets heightened awareness of design, styling and new product perpetuated by popular lifestyle shows like “The Block”. The home layout and the warm and inviting feel of each space is based on years of experience and the view that your home should be a space that you truly enjoy being in. 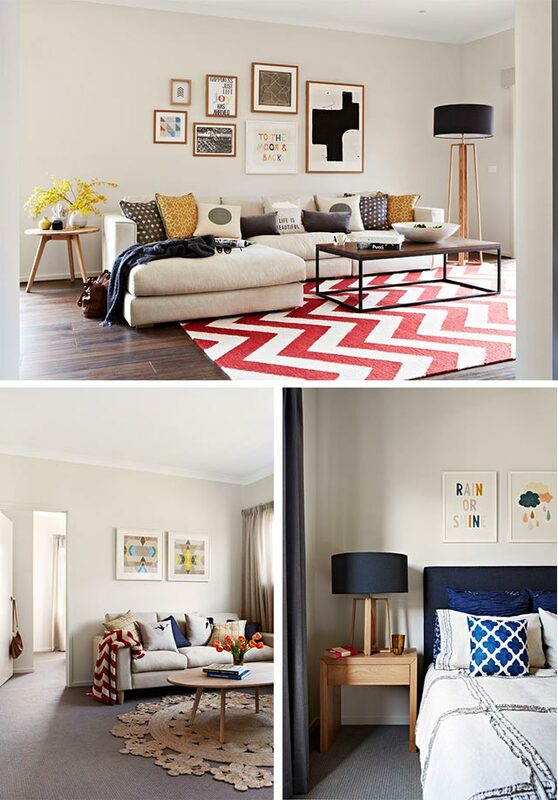 These spaces make you feel at home and exemplify the markets desire for a magazine style home. Visit Arkee Creative to see more exciting projects like these Orbit Homes.